Skin aging is an ongoing process that occurs naturally. Every day factors such as UV, pollution, and stress can speed up the skin's natural aging process, resulting in a greater than normal loss of cell renewal ability, skin barrier strength, collagen & elastic fibers. 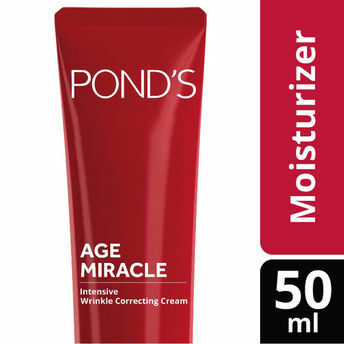 Pond's Age Miracle Intensive Wrinkle Correcting Cream continuously releases Retinol into your skin; clinically proven to keep wrinkles and fine lines at bay. Retinol itself is highly regarded for its rejuvenating properties, becoming the gold standard for anti-aging creams. 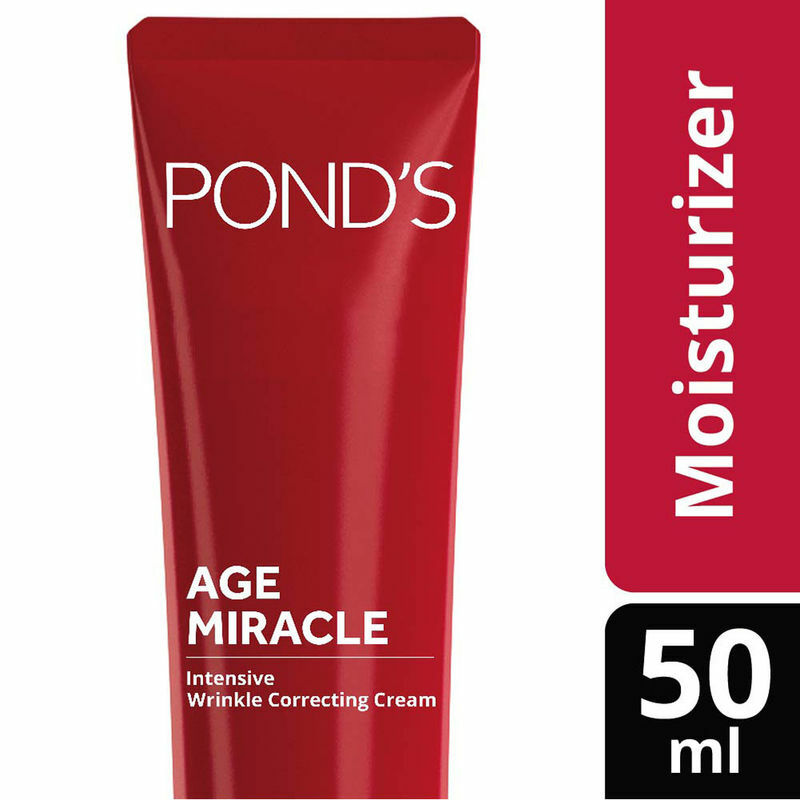 Pond's Age Miracle collection helps you to achieve beautiful, youthful skin at every age. Includes Vitamin B3 to strengthen the skin barrier, prohibiting the transportation of melanin and lighten the skin. The retinoids penetrate deeper into multiple skin layers to promote skin repair and stimulate collagen production. Boosts skin cell's moisture level from deep within to deliver plumper skin. Anti-oxidant power from Vitamin E Acetate protects skin cells from being oxidized from foreign threats. Acts within the skin's upper layers to weaken the bonds that hold dead skin cells together. Binds into the skin receptors called PPAR (Peroxisome Proliferator-Activated Receptor) to stimulate skin cells and promote cellular turnover. Explore the entire range of Face Moisturizer & Day Cream available on Nykaa. Shop more Ponds products here.You can browse through the complete world of Ponds Face Moisturizer & Day Cream .